If you've built a home extension or want to convert a detached garage or shed, you'll need to consider how to supply these spaces with electricity. One way to do this is by wiring the separate building to your main house's electrical box. This can be done at home, although if you're in any doubt, it's recommended that you consult an electrician beforehand. Wiring a detached garage or shed conversion is essential to making the space livable. While you can install a separate electrical box, it's a far simpler process to wire your new building to your home's main service panel. This requires you to install a subpanel in your new building. The subpanel transfers power from the main electrical box out to your new building's light fixtures and outlets. 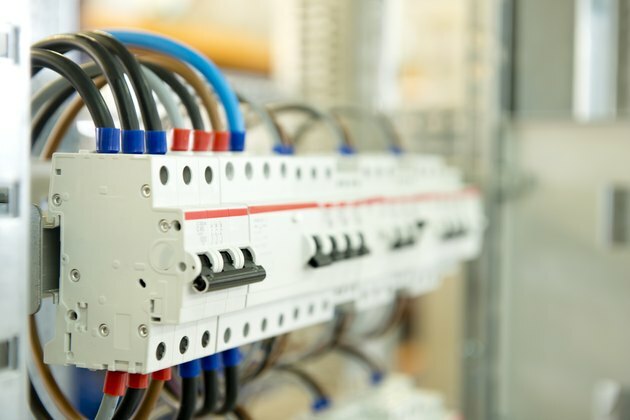 Before you consider rewiring your home's electrical box to a subpanel, it's highly recommended you consult with an electrician to ensure the job can be undertaken safely. You must ensure all power is disconnected at the mains before starting work on your home's electrical box. Always wear the correct safety equipment, including gloves. Make sure you have safely insulted tools, too. You must also keep very clear of water when working with electricity. Failure to maintain adequate safety when working with electricity can not only cause a painful (or even fatal) shock to you but could also start a fire and be a hazard to others. If you're in any doubt in terms of the safety of your electrical work, we recommend you check the National Electrical Code for more detailed information. When wiring from one building to another, you must take into consideration the placement of your subpanel and wires. They'll typically have to go under the ground and will involve the digging of a trench. You'll also need to consider placement of your subpanel within your detached garage or outbuilding. A common method of placement is screwing a piece of plywood to the garage wall and attaching the subpanel there. You first need to consider the amount of power you typically use in your detached garage or outbuilding. Subpanels are most commonly 60 amps, which is usually adequate. First, disconnect the mains power to the electrical service end box and open it up. Locate the area where your subpanel will be placed and attach it. Take the electrical cable from your subpanel to the main electrical box. Peel back the insulation to reveal the wires. Three will be insulated, and one will be bare. Connect the bare wire to the ground strip in the subpanel. Strip back the white wire and connect it to the neutral bus strip. Connect the red and black wires to the two screws on the hot bus strip of the subpanel. Tighten all the screws to hold the wires in place, then attach the subpanel cover. Make sure the cable clamp is holding all the wires securely in place. Install a circuit breaker on the wiring of the main electrical box. Push the u-shaped clamps of your electrical box onto the two pins of the circuit breaker to hold it firmly in place. Wire the circuit breaker to the other end of the electrical cable. Connect the red and black wires to the brass ends of the circuit breaker, the white wire to the neutral bus strip and the neutral wire to the neutral bus strip. Tighten the screws to ensure these wires stay firmly in place. Reattach your main electrical box's cover and tighten the screws tightly. Test your subpanel with a voltage meter to check the amperage is correct. You can now reconnect your mains power and test your new subpanel.